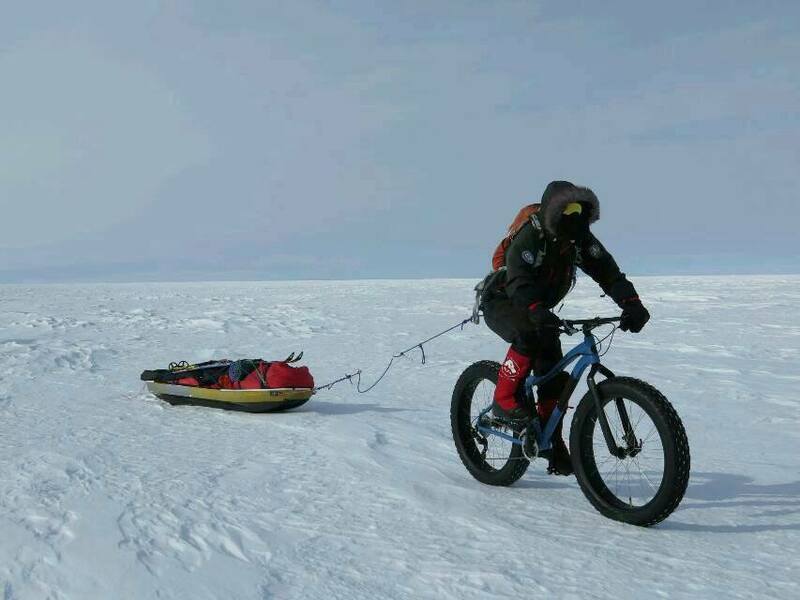 Juan Menendez Granados rides his fat bike toward the South Pole. After nearly seven weeks out on the frozen plains of Antarctica, cyclists Juan Menendez Granados and Daniel Burton are both fewer than a hundred miles from the South Pole. As an enthusiastic observer, it’s been interesting to check in frequently with their progression south, read their musings, and wonder at the strange forms life must begin to take at two miles an hour across a wind-blasted sea of white. 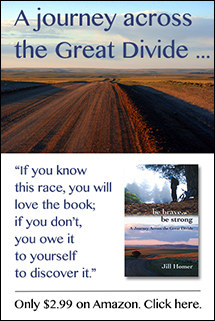 “I had this fear come over me today that I would end up biking over 600 miles and end up failing in the last 100 remaining miles. It was cloudy and I didn’t want to get going but knew I had to. The snow is still soft, making biking very difficult. But at least there was enough light to see by,” Burton wrote. Burton also is an impressive model of the things one can achieve on persistence alone. The Utah-based bike shop owner showed up in Antarctica last month with very little winter cycling and cold-weather experience, and absolutely no polar expedition experience. The idea to “bike to the South Pole” occurred to him just one year ago, as he and his friends pedaled across the frozen Utah Lake as a fun outing on what was then Burton’s first time on a fat bike. Unable to acquire the necessary sponsorships in time to meet his original expedition plans, Burton cobbled together a self-funded solo expedition. With the exception of the supply drops from ALE, he was going at it entirely alone. From an outsider’s perspective, his chances of success seemed extremely slim, and yet here he is, closing in on the finish of a two-month journey to the bottom of the world. Burton’s inexperience undoubtedly led to some decisions that made the journey even more arduous than it needed to be. Instead of choosing a minimum of supplies and loading it efficiently on his bicycle, he opted to tow two sleds with enough extraneous stuff that he eventually decided to drop some of it at his second supply cache. The drag created by two sleds no doubt slowed progress considerably, and made every day the kind of experience he reported as “the hardest day of my life.” His Borealis fat bike, nearly new at the start of the expedition with untested components, also had at least one mechanical breakdown. The freewheel on his rear hub froze and eventually stopped working altogether, necessitating a last-minute mailing of a new wheel to his second supply cache. Still, Burton’s expedition was assisted from the start, and he seems poised for a fair finish under the standards he set for himself — entirely by bicycle, alone. In the largely media-generated “race” to the South Pole, both men were beaten weeks ago by British cyclist Maria Leijerstam and her ten-day tricycle ride to the pole on the 400-mile Leverett route. With partial truck support and a persistent daily schedule, Leijerstam swooped in more than two weeks after the men started pedaling and got it done long before they finished. As a result, neither Granados nor Burton can make claim to the first cycling expedition from the Antarctic coast to the South Pole, although both will undoubtedly set their own stake in the ice. Through some of the comments he has made on his blog, Burton seems to take exception to the fact that Granados is using both skis and a bicycle, often reporting how far Juan actually rode during any given day based on tracks in the snow. If he makes it, Burton’s will become the first “bicycle” expedition to the pole, based on Juan’s multisport status and the fact Leijerstam was on three wheels. It will be interesting to see how these three cyclists spin their achievements in the aftermath. Without a doubt, all are huge achievements, and claims of “first” something will probably be leveraged by all of them. In the post-modern era of adventuring, such things are hardly a fast track to fame, and so motivations come largely from within. It’s become clear that all three of these expeditions were partly if not mostly self-funded, and in the case of Burton on Granados, no faster or more efficient than the typical ski expedition the the pole. However, Leijerstam blazed a fast trail, traveling an average of forty miles a day up the steep Leverett Glacier and across the wind-blasted plateau while claiming to have pedaled the entire way — meaning she never had to tow her bike behind her when conditions proved too rough for cycling. Clearly, she picked a preferred route and possibly a better-suited machine, something that future Antarctic cyclists may emulate. As a fan of adventure cycling who may one day aspire to travel in the tracks these pioneers have broken, I applaud all of their willingness to take risks and blaze new trails. Thanks Jill. Been following them each day. Hope the “naysayers” be quiet. Each of these adventurers are doing what they set out to do. What each has done is remarkable. That all three may reach there goal is heartwarming. Marie is full professional adenturer with big money, proper team, special vehice, a TRIcycle and overblowing media coverage and very simple task to be first. Looks good but not very exciting. A bit boring. She used the simplest and shortest road too. Juan is professional too The attempts of his PR teams to hide his skiing were disgusting. It seems they fooled the Spanish media eventually. But he is tough man and good luck for him for new adventures. Danile Burton is full amateur an a simple man with little money, little team and very poor media coverage. And most symphathetic. And he used the simple bicycle and that`s why his feature is most important. It shows almost everyone can do it, not only heavily muscled pro athletes with huge money.